Born in 1960 in Skopje, Macedonia, Sergej Andreevski is a Macedonian painter. 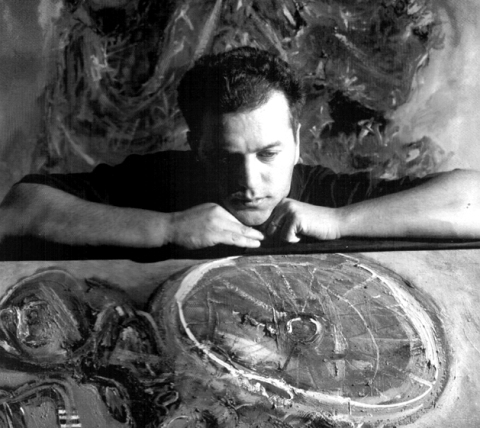 He graduated from the Faculty of Fine Arts in Skopje, 1985. He is a representative of the Macedonian expressionism. Scholarships from Galeria di Arte Moderna in Rome (Italy) 1987/88, Nurnberg (Germany) 1991, Imadate (Japan) 1999. Visiting studies at Arhaus (Denmark) 1994, Paris (France) 1996, Wilmington (USA) 1998. He has 41 solo exhibitions and over 300 group exhibitions throughout the world. Awarded with 8 national awards.